SimplyVital Health ICO Key Dates. Presale Date: October 2017- 22nd February 2018. Public sale Date: 22nd February 2018- TBA. 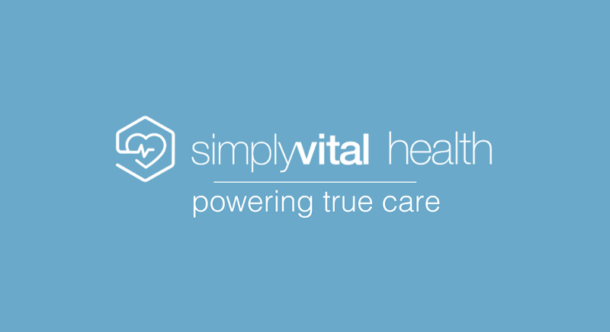 SimplyVital Health ICO will fund the development of the blockchain infrastructure required to allow healthcare providers to safely share their patient data, reducing healthcare cost and medical malpractice globally. The SimplyVital Health ecosystem will have its own open source, decentralized, operating system, called Health Nexus, which is a dual system platform utilizing a Blockchain protocol for transactions, identity and smart contracts, and a distributed hash table (DHT) for data storage, managed by a governance system. To drive adoption of Health Nexus, developer tools will be open source and available for free allowing community members to build and deploy distributed apps. Developers will be able to create valuable solutions for pharmacies, healthcare providers, insurers, clinical researchers or patients creating many revenue opportunities. Today’s electronic health record systems are disparate and disconnected. Legacy healthcare technology was never designed to handle all the providers and medical institutions you’ll visit during your care pathway. The need to share, view, and use healthcare data from providers in different organizations is becoming a requirement to survive in the new healthcare market, worldwide. Early decentralized technology lacks the security and ease-of-use to be adopted by the healthcare industry at large. There is no financial incentive for sharing medical information. Tools developed by Simply Vital Health and other participants allow care teams to create immutable records; provide care pathway transparency; and leverage accurate, near real-time analytics across facilities. Let’s take an orthopedic bundled payment program for example. If your orthopedic physician is in a bundled payment program, this means that the payment they receive for your hip replacement procedure is capped, no matter what happens, as they care for you for 90 days. You will transition from the hospital, to a separate nursing facility, to home and physical therapy. Each step along your 90 days, you will be seen by many providers. Because your providers have access to the same immutable data, and trust that the data is accurate to your care plan (as this affects how they will all get paid), coordination is streamlined. Simply having access to the same data eliminates the need to transition data around and between facilities red an inefficiencies and errors. All details of your care—procedures, outcomes, next steps—are visible to all members of your care team Any changes, updates, deletions are tracked and help your care team stay aware of your progress, and eventually, will help the payer understand your entire care pathway. With protocol-level governance and validated HIPAA (Health Information Portability and Accountability Act) compliant miners, the Health Nexus blockchain can pass the security expectations and requirements of healthcare by ensuring better data integrity and encryption. Since private health care providers are likely not comfortable with either storing their data in public servers, the governing consortium will provide a verification/audit service. This verification service will involve the governing consortium checking that the entities running servers are currently HIPAA certified and that the entities are active administrators checking for their nodes. Their governing system provides a decentralized system for upgrading and validation that takes advantage of the trustless nature of blockchain and helps to ensure its security and longevity. Their verification system also provides a unique way to ensure compliant nodes. Long term they are planning on integrating data storage to their system which is currently not being offered by other projects. Physician practices spend over $15.4 billion annually reporting clinical quality measures, a cost due to inefficiencies. Bundled Payment programs are a $10B slice of a $300B healthcare market in the US alone that needs streamlined healthcare data sharing. Previous app/product: In July, 2017, the team launched ConnectingCare, their first blockchain-based product within the ecosystem, which provides an immutable audit trail with a focus on the bundled payments niche. It is already a revenue driving product that is being piloted with key clients. ConnectingCare augments existing hospital care systems to extract data and create care pathway flexibility, prospectively tracks financials, maintains immutable records, and accurately monitors analytics. This frictionless, secure data exchange mitigates financial risk, creates business efficiencies and improves patient outcomes. Working product integrated with token: They will be providing day-one usability in the form of a smart contract market place. This marketplace will allow for the creation, management, buying, selling, and sharing of permissioned keys that will allow access to off-chain data. 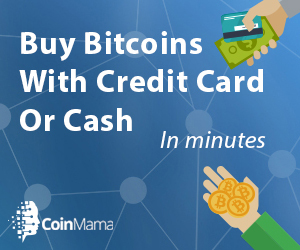 Tokens: Health cash is used to execute smart contracts, or to enter smart-contract-based commercial agreements; used to reward miners/validators and data storage devices that run the ecosystem; used to store keys/URLs on the Ethereum Blockchain; people will need the token to be able to transfer permissioned keys giving access to off-chain data, access smart contracts and data storage space; used when buying medical data. Smart contracts: Powered by health cash (HLTH) will enable cross-provider agreements and manage data access; Relationships between patients and care providers are encoded into smart contracts. Based on patient events contracts will self-execute and related healthcare organizations will be updated. Decentralization: Storage of medical data is decentralized. Transparency: All access to the data is managed and recorded on the blockchain creating an immutable, decentralized, fully-auditable record providing protection from manipulation and fraud. Speed: Patient data can invoke smart contracts, releasing payments to providers. Currently, this process takes months, mainly because of the transition of data through a seemingly endless chain of stakeholders. Database: Used to store public identification keys as well as miner/storer IDs and executive IDs. These will allow users to keep track of their identities and their ability to mine or store data. Encryption: Identity of care providers is cryptographically verifiable allowing permissioned access to relevant care data, and keys are used to encrypt data for secure transmission. that puts them in no obligation to complete a project. Honestly, it makes zero sense to me. system at the hospital – find patient records, document, bill, etc. Why do I need a tokenized system to do the same thing? system doesn’t change that if not every hospital utilizes it.